Terrorists arrested in the New York area. So, You Want to Know the Truth About 9/11? The Buildings Were Blown Up Before the Plane Arrived 100%. World Trade Center 7 Makes It Simple. SEE FLASHES & CUTS! WTC-7. Enough is enough! This is one of the most important documents of September 11th, the commentary from the videographer is largely forgettable but the analysis of the explosions both the using audio and visual analysis, is amazing. 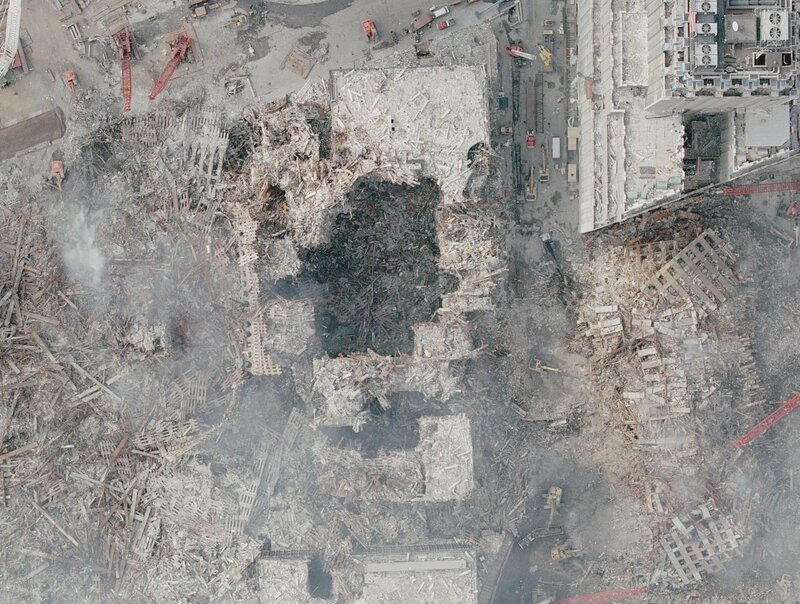 9/11 Eyewitness is especially important as it proves that the buildings were being blown up throughout the morning, climaxing with a series of massive explosions at the time the Towers were demolished. 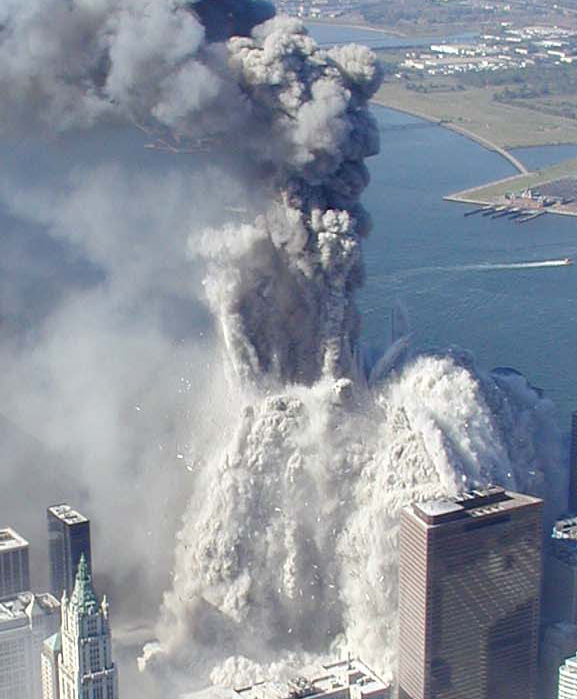 Every diversion was exploited, so as the second plane flew in and struck the South Tower, the first tower was being blown up. One of the saddest things about the fact that the 911 lie succeeded is that it proved that the on paper most well educated people who ever lived were completely scientifically illiterate. All that is required to destroy the Official 911 story is a very rudimentary understanding of the Laws of Physics. Surreal Pictures Inside WTC 6 Destroys 9/11 Cover Story For Ever ! Because the event in New York was so thoroughly documented by comparison the Pentagon attack tends to be somewhat neglected and many aspects of what happened in the Pentagon remain a mystery. It is absolutely clear that the Pentagon was not struck by a Boeing 757 and the story of a Boeing Jet striking almost at ground level traveling at 500+moh is simply impossible. 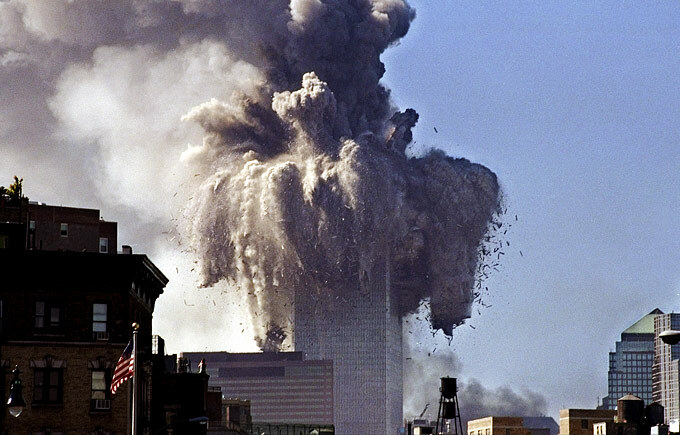 It is also clear that whether the Pentagon was struck by any flying object at all or not, the Pentagon was, like the World Trade Center complex in New York, attacked with emplaced explosives. The blasts can be seen and heard, but beyond that the attack is actually very confusing. The best work regarding the events at the Pentagon on September 11th that I have found is the work of Barbara Honegger, a former Reagan Administration official. Other than the part about the Pentagon, which is absolutely disastrous, this is one of the most underrated and neglected 911 films I have seen. There is a lot of strong original work here regarding the bombing of New York. The interview with Alan Sabrosky is one of the most powerful things I have seen. I disagree however that ordinary ISraeli should be punished for the crimes of their leaders committed without their knowledge and consent. Sabrosky’s logic that the US should simply destroy Israel because of the crimes of the dreadful few, is akin to the logic that saw Dresden, Hamburg, Hiroshima, Nagasaki and Tokyo annihilated towards the end of the Second World War. The citizens of Israel do not deserve to be punished for the crimes of their leaders any more than the Germans and Japanese citizens deserved it. It is obvious 70 years later that none of these people deserved to be firebombed due to their criminal leadership and so the same is surely true of Israel today. 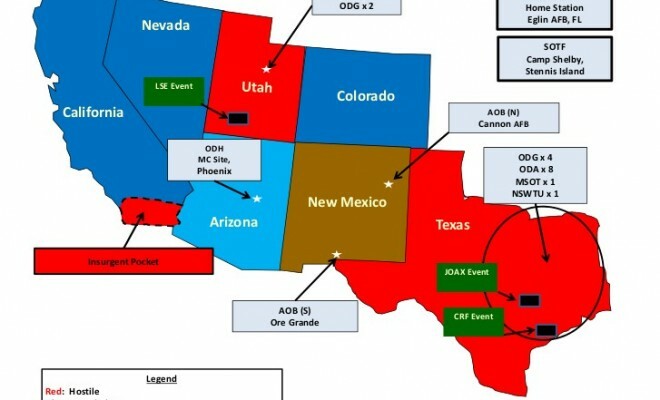 Operation Jade Helm and the Rise of Tyranny in America. Military map of the Jade Helm 15 scenario. The short version from the US military is this. “JH is a challenging eight-week joint military and interagency (IA) Unconventional Warfare (UW) exercise conducted throughout Texas, New Mexico, Arizona, California, Nevada, Utah and Colorado. The explanation that I heard for the exercise contained in the video above was that the US Army Special Forces and some others are going to be training to operate cut off from supplies behind enemy lines. That is the straightforward reason for the designation of Texas and Utah as “enemy held territory”. It does not mean they are about to attack Utah and Texas especially not with 1,200 troops! For the purposes of the exercise the military forces are going to be placed in behind the lines situations on sabotage and other insurgent type operations. Where it is envisaged these tactics will be used is completely unclear but it is equally likely that the intent is simply to cover all contingencies and maintain certain skill sets and disciplines. The point is the US military are playing the insurgent role, the comparison used in one case was the French resistance against the German occupation forces during World War 2. As well as the evasion and survival element of the operation there were also to be we are told a number of helicopter borne operations to be conducted against pretend targets, The Military plan to fly into a certain spot, attack a certain building and leave after about fifteen minutes. That is what they say they are planning to do and in the example that I heard depicted, the actual attack was to be on a building inside an US military facility. The civilian role players are there to test the soldiers ability to gain the trust of both unfriendly and semi friendly local people. They do not intend to interact with civilians who are not part of the exercise. These are the basic facts of the operation according to the US military. 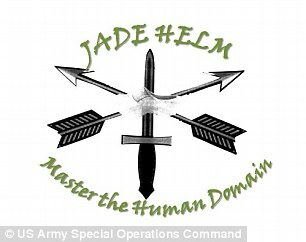 Jade Helm logo the semi hidden clog is genuinely interesting. The Martial Law Dry Run? It is being widely claimed that the Operation is a ruse designed to mask or enable the imposition of Martial Law in the United States. There is no doubt that many of the necessary steps towards complete tyranny have been taken by US legislators since the false flag terror attacks of September 2001. The Legal Infrastructure of Tyranny. These legislative efforts at imposing the legal infrastructure of tyranny on the USA began in 2001 with the Patriot act and came to apparent fruition with the NDAA bill signed into Law at the end of 2011. Under the provisions of the NDAA any US citizen can be detained indefinitely and secretly by the US government. These developments and many other similarly worrying signs, the Militarised Police Force, the impunity of the police even when they clearly commit murder, and the breach of the Civil rights of the citizens of the Watertown area two years ago in the wake of the Boston bombing psy- op mean that these rather wild claims of a martial law plot are not without some foundation of genuine concern about the corruption of the rule of law and tyranny developing in America. The legislation that tyranny requires has been put in place and the events in the aftermath of the manufactured Boston fake terror attack show that some US authorities are testing their ability to impose a new legal regime upon the US is at the very least being tested. Others mention the operation as a mask for a major false flag. There are a lot of people who see this event as a portent of doom for the US, one way or another. Many of the people highlighting the doomsday scenarios, could be described as the “usual suspects” of the permanent industry of the apocalypse. Many of the people talking about this and expressing concern are very respectable, thoughtful people who are not the usual suspects at all. Initially I looked at what the US military were saying, noted that the exercise actually involves only 1,200 troops according to the US military, noticed some of the sillier claims being made, noted that there are more than 4400 Walmart stores in the US., and was prepared to write this off as a pure beat up. I still believe that this story is being beaten up tremendously, and that short of some catalysing catastrophe in the interim, this is probably just another military exercise. But when I looked back at the things that have happened, the things that have been done to destroy the US, the things that have succeeded. The things about which there can be no doubt and there is clearly good reason, sound reason that people would be intensely distrustful and even paranoid about the intentions of the US government towards them. Suspicion and even paranoia are justified, if slightly misplaced in this specific case, perhaps. Because for more that a century an agenda of tyranny has been slowly and steadily implemented in the US. Every administration tells big lies and almost every new administration starts new wars based on lies. The pattern of behavior from the tyrannical elements of the US power structure has become clear at this point and one thing that stands out is that there is a style of crisis initiation that is always used in order to impose a new level of tyranny or new police state measure and this is true across the Western world. Therefore, unless and until a major crisis or catastrophe afflicts the US this exercise is likely just another harmless and pointless military exercise that will not lead to Martial Law or any other extraordinary measures. If there is a major crisis or cataclysm in the next several months, that could completely change the assessment but at this point in time, the US is a functioning nation with a relatively healthy economy. Almost everyone in the US pays their taxes, the Government functions, Wall Street and their agents of tyranny continue to get fat and rich harvesting the wealth of the US for their own benefit so there is simply no need it would seem for the dark elite who rule the US to take any drastic measures that would put a successful harvest and destroy project in jeopardy. It simply makes no sense in the current circumstances. If a major crisis erupts everything may change overnight but that is the situation today and therefore the idea that Martial Law is about to be imposed upon the US is completely illogical although the general concerns of creeping tyranny are very well founded. This is Not an Occupation Style Exercise. The Operation is not a faux Occupation at all but rather a preparation for acting as an insurgent or saboteur force. The location on the earth that the US military may imagine acting in this way is very unclear, the underlying truth is that at this stage the US actually has very few ground forces operationally deployed. There are slightly fewer than 10,000 US troops remaining in Afghanistan and this is the only US ground operation of any significant size at the current time. This exercise is probably just a way for them to try to maintain a level of combat readiness for the US special forces in the absence of any major wars for them to fight. The point is that we know that if there is an attempt to impose Martial law on even a part of the USA, it will not simply be announced and done but a series of events will precede it in order to make the US public believe that the steps are necessary. The US governing elite never come out in the open and announce their intention to impose tyranny on the US, they always use some crisis or event as an excuse for doing so, the Hegelian dialectic is always used, always. Problem, reaction, solution. Unless and until the crisis occurs there is an overwhelming likelihood that Jade Helm is simply what the US military say it is. One of many regular training exercise they conduct all across the US and the world. This seems to be what they have to do to seem important when there is no actual war for them to fight. In 2013, the Massachusetts National Guard were activated and placed on the streets of Watertown, Boston in order to apprehend an untrained lone 19-year-old being framed for a fake bombing. On September 11th the US military conducted exercises that mimicked the exact scenario of the attacks with hijacked jets attacking the New York World Trade Centre. Until the real authors of the 911 atrocity are punished, the people of the US have every right not to believe the US government even when they are telling the truth. It’s a natural byproduct of the big evil lie. The US will be a ghost nation, a shadow until the 911 case is resolved. It defined an era, it was a turning point in the history of the West and the world. It is not like other false flag terror attacks, or assassinations. Everyone who bothers to look for example, knows that John F. Kennedy was attacked by at least three gunman, that the shot that killed him struck him from the front and that Lee Harvey Oswald was tested for gunshot residue and came up a solid negative for having fired a rifle. The magic bullet is absolute nonsense, wishful thinking, an impossibility. It is likewise a physical impossibility that an ANFO based device could possibly cause the devastation of the Alfred P. Murrah building and the blast effects seen in Bali. 911 is On Another Level. As strong as all those cases are, and the work of General Partin is superb on OKC and the JFK case has been proven time and time again by thousands of researchers. The difference is that it is physically possible to shoot a man in the street in Dallas, in fact it happened, The official story of the JFK killing is honest compared to the 911 fairytale because at least it gets the most basic details of the cause of death correct. The President died after being shot by a gun, right? Everyone to my knowledge agrees with that for the obvious reason that it is correct. In the case of 911, not only is the “cause of death” of the Twin Towers and WTC7 incorrect, but it is physically impossible. Not only is the Official story of 911 incorrect as to what happened on that day, and hard provably so, but the Official story of 911 is actually impossible on any day, ever. This is because the Official story of 911 is inconsistent with the most basic and immutable Laws of Physics, most notably violating all three of Newton’s Laws of Motion. WTC7 Freefall Ends the Debate over the Official Story. As far as WTC7 goes, the building achieved free fall acceleration during collapse, the building fell as if through the empty air, there is no history of Office fires causing even a partial collapse of a steel framed skyscraper, the idea that office fires could cause free fall collapse is literally impossible. The free fall acceleration is not merely a claim, the measurements have been made by David Chandler and accepted by the US government NIST investigators. The entire collapse was at almost free fall speed, free fall acceleration was achieved by WT7 as it fell and this ends the argument as to the veracity of the Official story. The Twin towers are just as obvious as the North Tower can be observed being violently ejected UPWARDS AND OUTWARDS at tremendous speed. The building is not falling apart it is being blown apart from the bottom to top and top to bottom simultaneously, and the top of the building can be clearly seen being blown through the air. Much of the building can also be seen to turn to dust and the rest is blown into small fragments. None of these clearly and easily observable phenomena can possibly be consistent with a fire driven gravity collapse. Dealing with “Problem” Individuals- We Already Know How It is Done. While there are many people speaking some very powerful and wonderfully indiscreet truths about the crimes of the Cabal against America, are there any “dissidents” who are really causing trouble or anxiety for the system? The number of people who know the truth about events such as 911 is huge numbers wise, but not percentage wise. It may be as few as 1%, I am confident that it is 1% it could be 10%, but it’s not enough t represent a problem. Problems are easily dealt with anyway,by dirty police, by the F.B.I and by organised crime cutouts along with intelligence operators. So it would be really very stupid to advertise this big military exercise, in order to achieve what the police and or FBI can already easily accomplish. This is not hyperbole if you look at the cases of Roland Carnaby, his death at the hands of the police can be viewed on Youtube, we know the FBI murdered Igrahim Todashev in order presumably to protect the Boston bombing frame up somehow. (Todashev was friends with Tamerlan Tsarneav) The FBI also are widely believed to have “dealt” with the Nebraska child abuse investigator Gary Caradori, the capacity of the US police to gun down people with near total impunity is displayed on a nigh daily basis. Sadly there is tremendous corruption amongst all major US police forces, if local cops are clean, and the situation requires it, State police are brought in. This seemed to be what happened to William Cooper, he was lured from his home and attacked by State police. Funnily enough I have an interview with William Cooper on a day he was in an angry mood and he said he was willing to die on his doorstep. Which is where he was when the police killed him. The Claims Have Raised a Vital Question. Despite the fact that many inflated and irrational claims have been made about this operation, as previously stated there is good reason for suspicion based on the crimes of the past. Te current claims rest upon a history of lies , deception and mass murder, and they point to a truly huge and important unanswered question. Who or What are the US Military? This is the unanswered question that sits behind the valid questions and the wild claims, it has never really been clear where the US military actually stand? Are they to be the New World order’s shock troops turning the US into Iraq, or will they say no, arrest the criminals and be part of America’s redemption. That is the question, are the US military part of the force that will destroy the US or are they part of it’s redemption? No-one knows the answer. On the one hand you could point to the likes of Curtis Le May, Lyman Lemnitzer, Operation Northwoods, the willingness.of the Joint Chiefs of staff in 1962 during the Cuban missile crisis to engage in nuclear war even if the US lost 100 million people, Abu Ghraib, My Lai, DU munitions, neutron bombs, white phosphorous, the Gladio connection, the fact that explosives were certainly planted inside the Pentagon n 911 and the perpetrators walked away. Or you could look at all the good things, Smedley Butler, the soldiers who stopped the My Lai massacre on the day, all the whistle-blowers, the Veterans for peace and the thousands of different veterans and soldiers who have tried to tell the truth in the face if an earthquake of lies and propaganda. One positive move the US military could legally make, might be to re-investigate the Pentagon attack on 911. There is little doubt that a real investigation will discover that no hijacked aircraft struck the Pentagon and 911 and the building seems to have been attacked with pre-planted explosives, which are visible at 9.43 am and audible at 10.10 am when the front wall collapses. It seems inevitable that some of the individuals involved would fall under the jurisdiction of the military. These people killed more than 100 members of the US military, to let them walk away is unthinkable surely? NUCLEAR BOMBSHELL! “Stunning” Radiation Spike Allegedly Detected at Israeli NY Consulate. In August 2005, the New York Police Department and technicians from the US Department of Energy conducted an Aerial Radiation Survey of all five New York boroughs.The survey required 100 flight hours, cost $800,000 and identified 80 radiation hotspots in the five New York boroughs. One finding, that the Great Kills park area of Staten Island was contaminated with Radium 9.,an element believed to be connected with bone cancer led to the closure of an area of the park.The majority of the hotspots were connected to the illegal dumping of medical and radiological waste. Diagram shows the technique used to survey New York. This quote from the US Government Accountability Office describes how it was done. 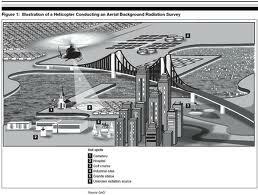 The purpose of the survey was principally to provide a background radiation map of New York so that future surveys could then identify any “extra” radiation signals and therefore prevent any future Nuclear terrorist attack on the city. In September 2006, the GAO released their report, which found that the mapping techniques were effective and that the process should be extended across the US. In October 2006, an article was printed in the Cleveland Indy Media that claimed. Israeli NYC Embassy A Radiation Hot Spot? Nuclear Chemical and Biological Protection Suits after the February 1993 attack.. The Rense article is itself based on the Cleveland Indy Media story. The Cleveland story makes a small error in that it refers to the Israeli Embassy, there is no Israeli Embassy in New York, the Embassy is in Washington DC, but Israel has a Diplomatic Consulate in New York, along with it’s UN mission based there There are also Israeli Consulate Generals in Atlanta, Boston, Chicago, Houston, Miami, Philadelphia and San Francisco. The rest of the story reads like a conventional news story and even the radiation spike, the claim is treated very lightly and quickly passed over. It is a single source story, as the GAO does not list the hotspot sites although it seems that a graph originally accompanied the story showing the hot spot areas, the graph has disappeared very soon after the report was released. It is still an extremely interesting story because it does tend to corroborate a number of claims made about the way the 911 atrocity was conducted. The Five Israelis Arrested in New Jersey on 911. 911-Israeli Foreknowledge is Proven by at Least Two Different Pieces of Evidence. In fairness it should be acknowledged that foreknowledge of 911 was surprisingly widespread. Different people exhibited different degrees of knowledge. It can be inferred for example that elements of the US financial services industry had foreknowledge of the fact that something was going to happen involving passenger aircraft due to the massive surge in the “Shorting”, betting against the price of the stocks of United and American Airlines and only those two airlines. 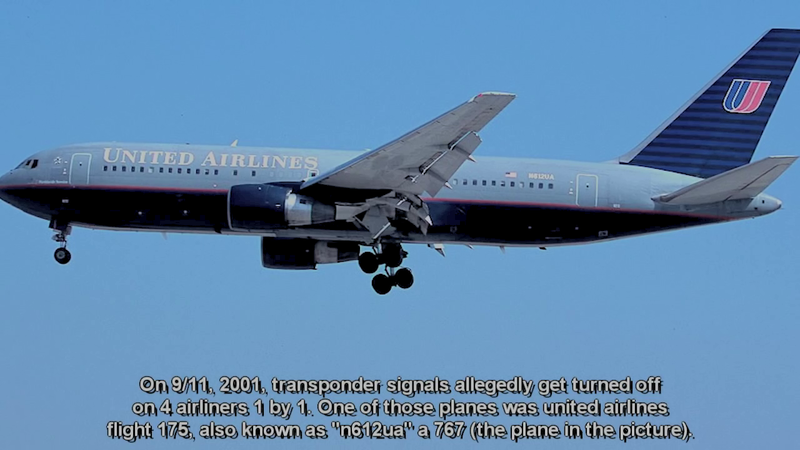 The two airlines “used” in the 911 operation. As this quote from “Insider Trading and 911 the Facts laid bare” by Lars Schall elucidates. So it can be inferred foreknowledge of an attack involving these specific carriers but there is no sign that there was foreknowledge of the actual targets, the exact time or any of those other details. These elements of the US financial services industry, trading in Chicago and New York, may have had total foreknowledge, but all that can be reasonably inferred from their actions is that they knew something would happen and these carriers would be affected. That is a fairly compelling, but rather low level of foreknowledge. If the foreknowledge of the five “Dancing Israelis” is examined by contrast, the knowledge appears to be far more detailed. 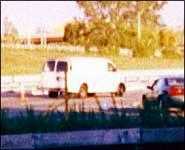 This is a photo of the the Van the Dancing Israelis were in when arrested. The Dancing Israelis, arrested on September 11th, appear to know the specific target buildings and the exact timing of the attack to within hours at the least. 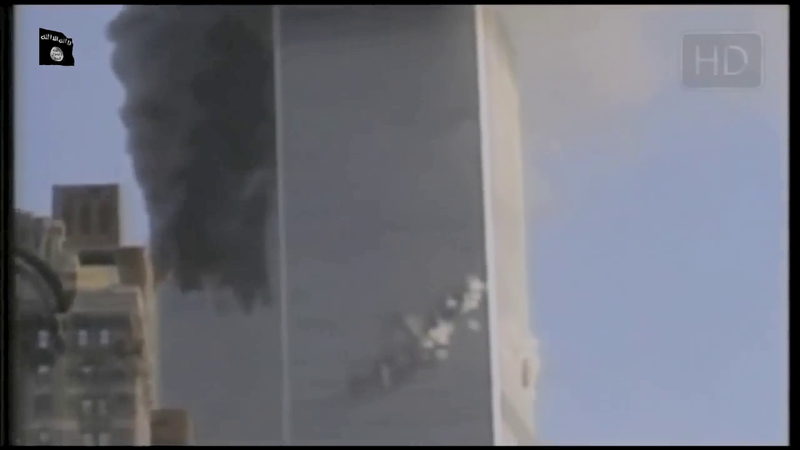 The Dancing Israelis were observed filming the “aircraft strikes” on the World Trade Centre from the top of a building that required them to drive for ten minutes after learning of the attacks. The building the Dancing Israelis worked “Urban Moving Systems” had a good view of the North Tower,the first tower attacked but a poor view of the South tower. The Israelis were celebrating and filmed themselves with the burning towers in the background. 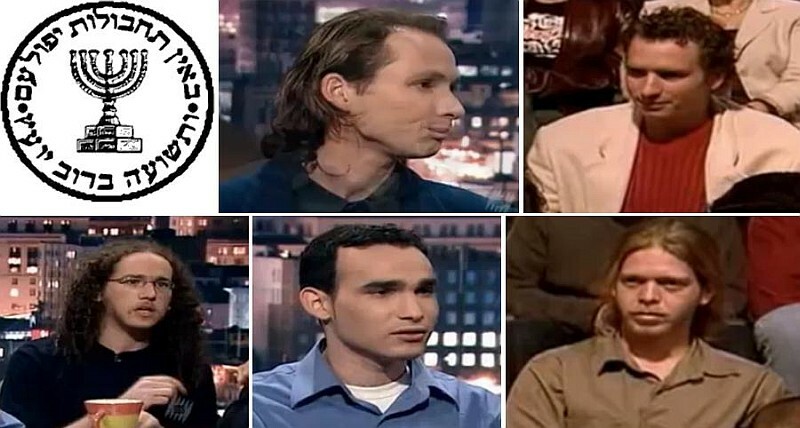 When arrested the Dancing Israelis did not offer a credible or honest account of their movements on the morning, When the five Israeli terrorists were removed from their van, they helpfully explained the purpose of the attacks and the mindset behind them also. “We are Israeli. We are not your problem. Your problems are our problems, the Palestinians are the problem.” also, apropos of nothing, as leaving the vehicle, “We were on the West Side Highway at the time of the incident.” an unprompted and dishonest attempt to create an alibi, In the afternoon there were five members of the group in the van, in the morning, the witnesses had seen only three. Odigo Message the Other Indicator of Israeli Foreknowledge. It is also worth remembering the other solid example of foreknowledge in Israel, the Odigo messaging service warning sent out in Hebrew in the hours before the attack. This was not a Jewish warning in the slightest, everyday Jewish people were in the same category as anyone else, there was a small scale warning sent out to certain Israelis prior to the attacks. The warning referred to an incident that day in New York, the foreknowledge was not detailed. It is also completely unclear who sent the warning beyond the fact that it was a user of that messaging service based in Israel but sent out to members, almost all Israeli, across the world.. There were many other better examples of foreknowledge than the Odigo example. There was one story told by a man named Randy Glass of meeting with a Pakistani arms dealer connected to the Pakistani intelligence outfit the ISI (Inter Services intelligence) who stated during a meal in a restaurant more than two years prior to the attacks. “ those towers, will soon be gone”” or words to that effect. There is no suggestion the man was involved, but he knew it was going to happen and the target. The foreknowledge of the Dancing Israelis extends into probable involvement in the attack. There have been many allegations made about the use of Nuclear weapons, small nuclear weapons in the demolition of the World Trade Center. Wayne Madsen wrote that 911 was a nuclear event several years ago. Veteran’s Today editor Gordon Duff has repeatedly claimed that Israel smuggled nuclear weapons into New York City prior to the attack and that the weapons were hidden in the Israeli New York Consulate. Gordon Duff has also repeatedly claimed that Israeli intelligence officers placed small nuclear weapons in vehicles in the car park of certain WTC buildings prior to the attack. Duff also claims to have a copy of a secret US government report by the Department of Energy into the fact that 911 was a nuclear attack.. The narrative presented corroborates all the known facts although the specific details cannot be confirmed due to the fact that it is a single source story . The details are so corroborative as to make the account compelling nonetheless. It is possible that the 2005 Radiation survey was actually a sly attempt to gather intelligence on 911 and that the radiation spike at the Israeli Consulate building, which is just a large office space rented to numerous businesses and other organisations may have been due to the residual radiation that the weapons stored there prior to the attack. left behind or it could indicate a Samson option type of scenario. 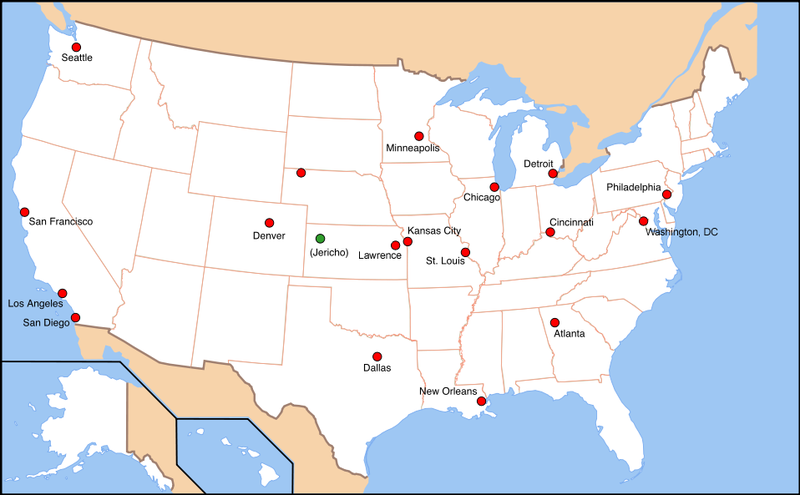 It actually seems like a rather cute coincidence that the one city that the DOE surveyed was also the one city that people within the DOE apparently conclude was attacked with Nuclear weapons on September 11thso the probability must be that they were intent on collecting evidence relating to the 911 atrocity and overall it is becoming increasingly obvious that the attack was conducted in large part by the agents and assets of Israeli intelligence, Although it remains unclear what specific entity gave the instructions to these officers. “We Will Burn America” Islamic State, Gladio and Michael Ledeen. 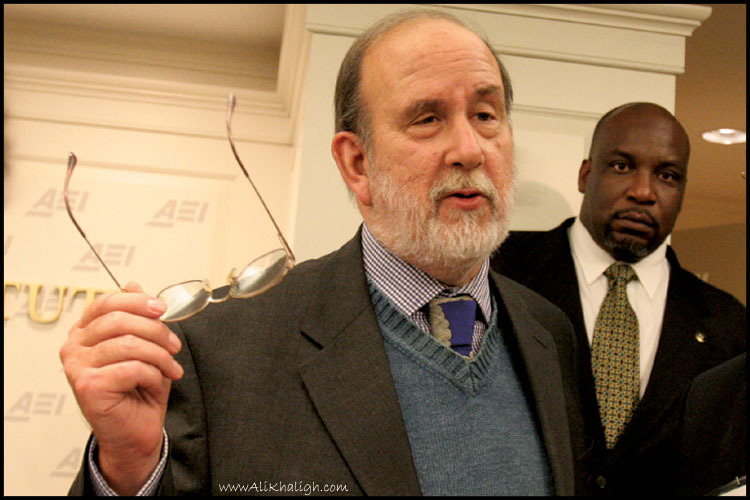 Monster, Fascist and Neoconservative Michael Ledeen. “We will burn America” posted on Zionist Neocon PJ media. Strange Threats in Ohio, Operation Gladio and PJ Media’s Michael Ledeen. 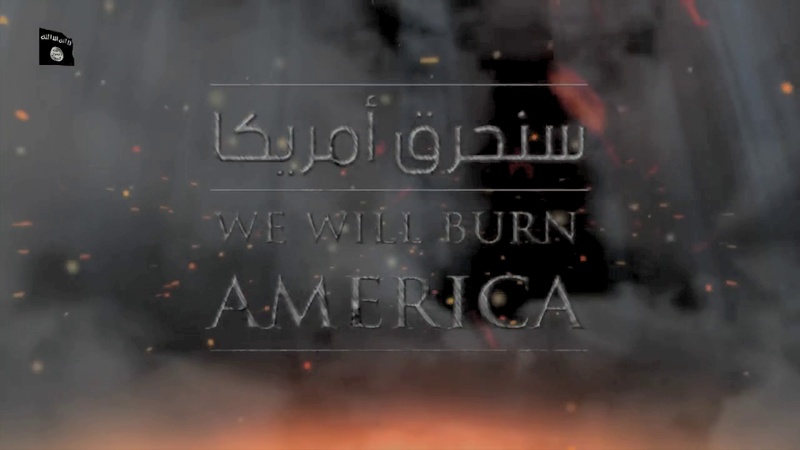 The new IS Video “We Will Burn America” threatens the United States with Another 911 and despite the graphic depictions of murder is hosted on the Neoconservative site PJ media. At face value, every IS propaganda video is a joke. These videos tend to be crude and often obviously fraudulent anti-propaganda, but the contents of this latest video “We Will Burn America” may point towards a real threat. The content and timing of this release combined with the fact that this ultra-violent video is being hosted by the Neoconservative PJ media site who include on their staff an individual named Michael Ledeen with strong historical links to false flag terror atrocities and the manufacture of intelligence designed to start wars and a genuinely disturbing picture emerges of terrorism that is being pre-engineered, possibly as revenge and/or leverage against the Iran nuke deal. The video begins with IS trying to claim the mantle of bin Laden and al Qaeda and threatening another 911. 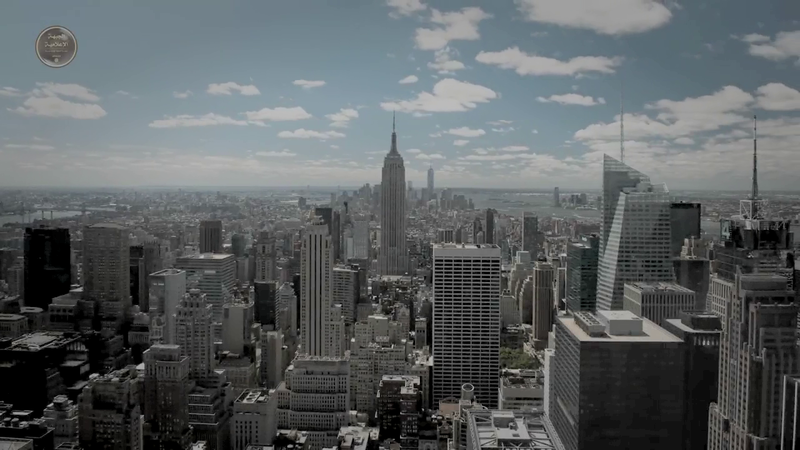 The first shot is of New York city. Bin Laden in the 1990s. This is followed by a very old, authentic picture of Osama bin Laden, the film cuts to stock footage of New York prior to 911 and the Twin Towers of the WTC are shown along with the strange caption that refers to the bombing of the World Trade Centre. They “bombed” the WTC, well someone did. 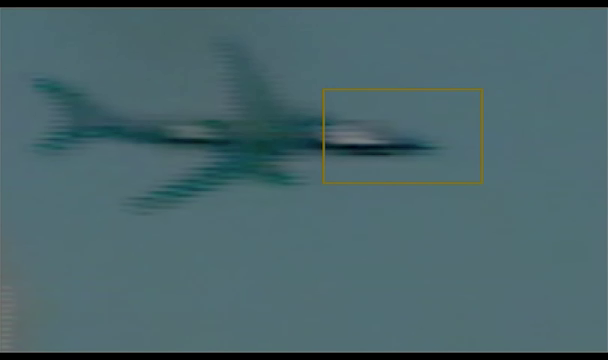 This is followed by a series of shots of “planes” striking the South tower on September 11th, many obviously fake. The demolitions are not depicted. The Ottawa Parliament mid farce. Ottawa Yes, Sydney No, Sydney fraudsters are Presumably Enraged! The English throughout seems almost deliberately wretched and there are basic factual errors such as stating two gunman attacked the Canadian Parliament building last October, a bizarre claim not supported by anyone,The group celebrates the laughable Ottawa hoax as a triumph of jihad! 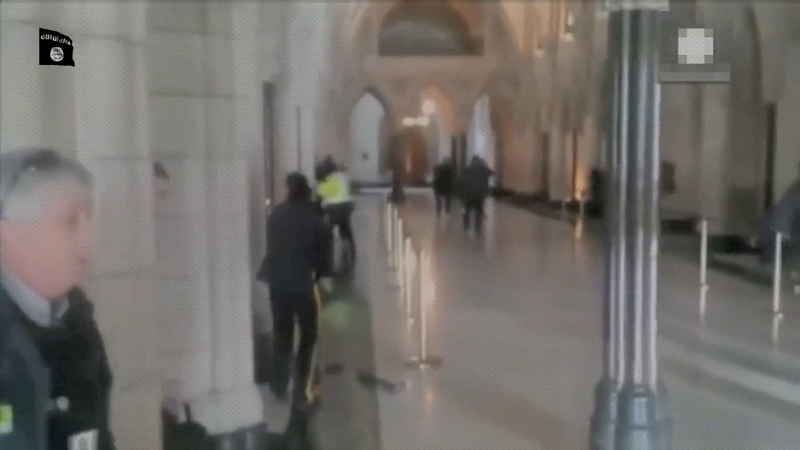 Unbelievably, they describe the attack on the Parliament, a hoax that officially caused zero casualties, wounded or killed in the Canadian Parliament as a triumphant raid conducted by two fighters. 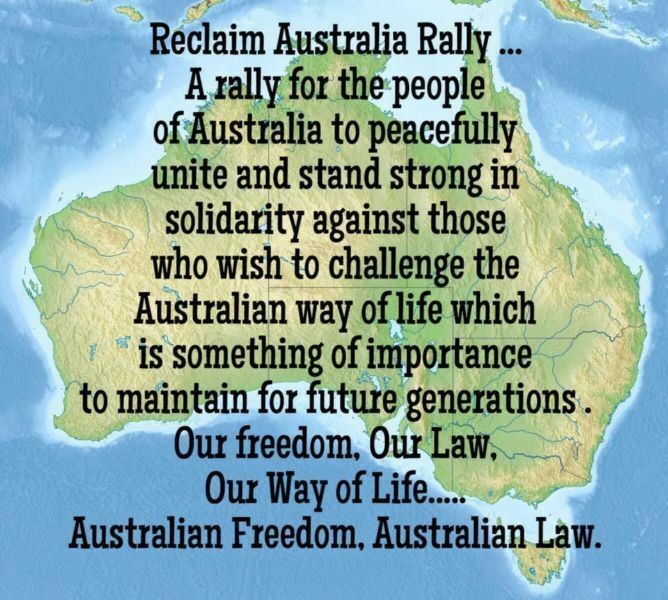 It was hilarious to note that the fake event in Sydney did not merit a mention. Presumably the target was too silly to be included in their narrative. Checks with the handler that he said the right thing. 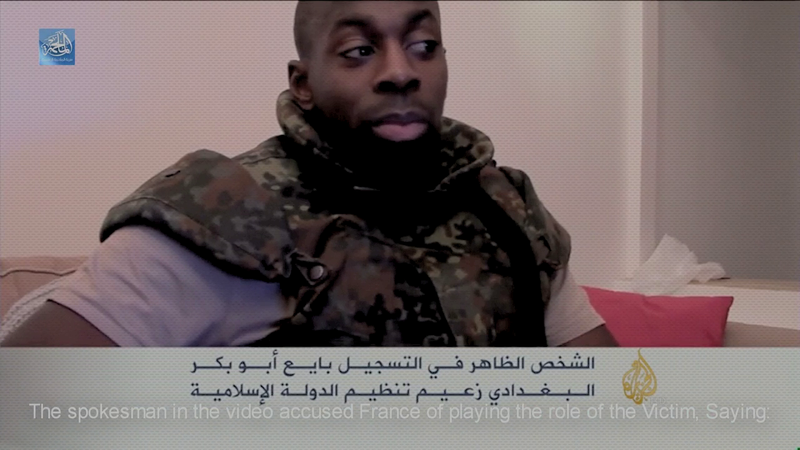 The Charlie Hebdo and subsequent French attacks are also mentioned and Almedy Coulibaly is briefly depicted, looking to his handler for instructions as he makes his own propaganda video. August 19th, 2014. 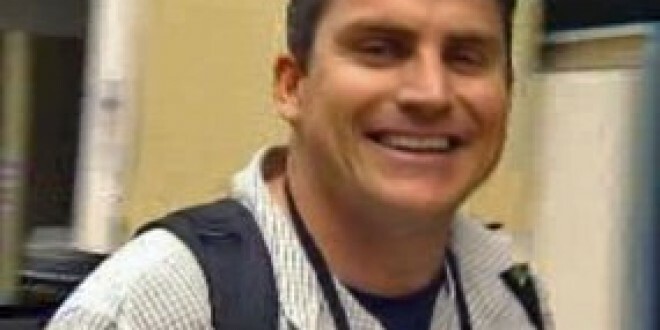 James Foley. There was a high degree of public interest when the James Foley beheading video was released in August, 2014. The beheading was not depicted on video and the dead body of Foley also seemed to be a CPR doll. 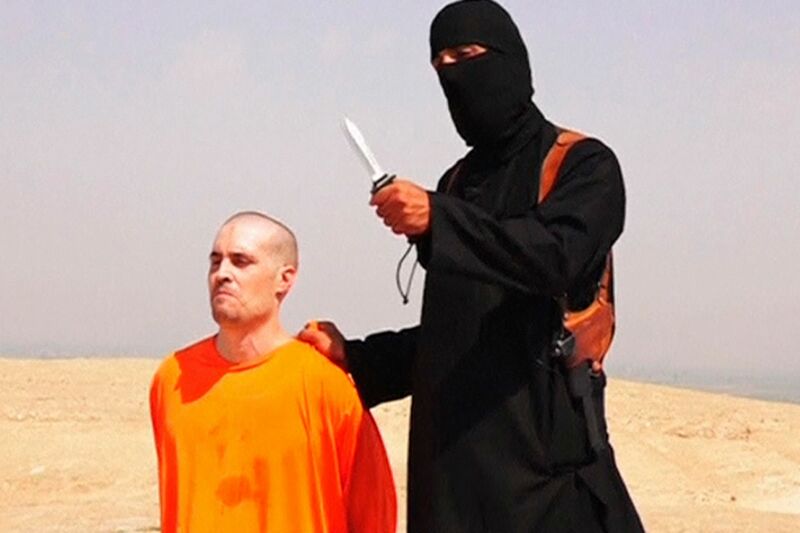 The other strange thing was that the man in the video did not seem to be James Foley. September 2nd, 2014. Steven Sotloff. 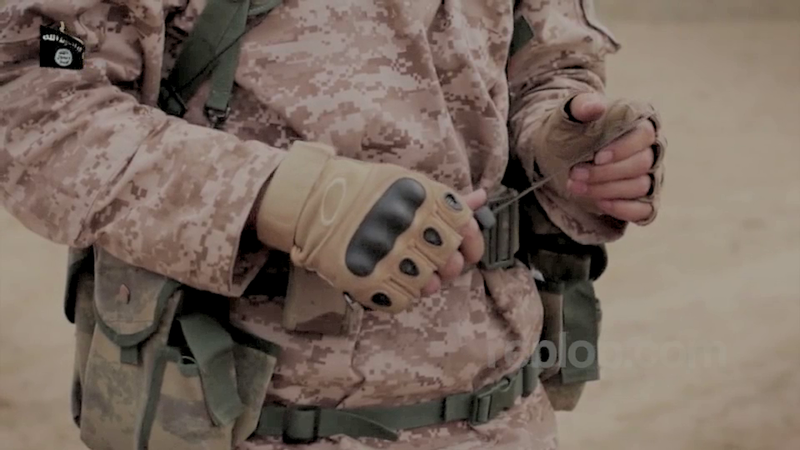 Possibly even more obvious and pathetic than the Foley video, the near identical Sotloff video tried to fix some of the mistakes of the Foley video, adding the sound of wind in order to promote the idea that it was not filmed in a studio. Sotloff’s demeanour was absolutely ridiculous and in his eagerness to deliver the propaganda message Sotloff forgot to mention or say goodbye to his family or anyone else.Also received saturation coverage. Clearly amother green screen fake. September 13th, 2014. David Haines. 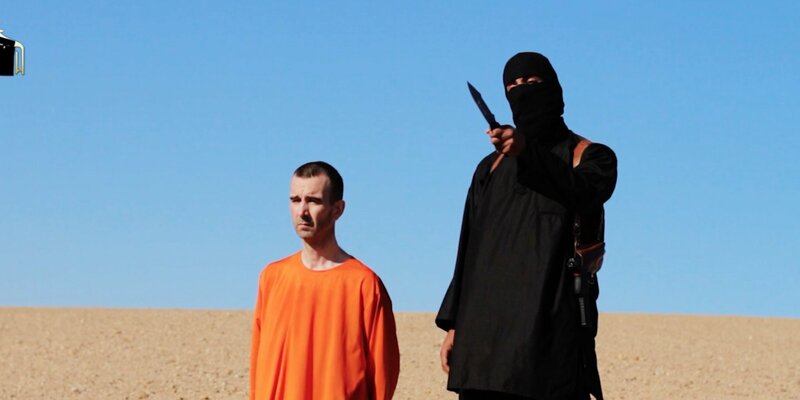 David Haines was the first British victim after the two Americans Foley and Sotloff, Haines video was an improvement in that he managed to loo more grave and serious than Sotloff, who was practically giggling right upp to his faux execution. The impact was fading quickly at this point. The bombing of IS fighters in Iraq was already underway and not especially controversial. The psyop was redundant at this point. 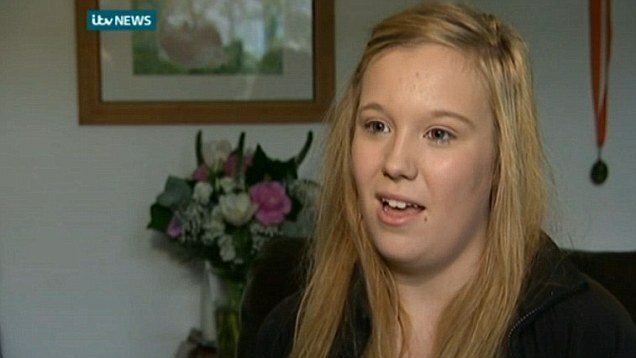 The standout element of the Haines execution was the hilarious crisis actor that was sent out to play Haines daughter, she giggled her way through interviews during which she called for another major ground invasion by the West of the Middle East, pointing to the intent of the ongoing psyop. October 3rd 2014. Alan Henning. By the time the Alan Henning video was released interest was low. The video was completely forgettable. The only interesting thing was that by contrast with the four members of Foley’s family and Haines daughter, Hennings family seemed to be real people. By this time the bombing campaign had extended to Syria as well as Iraq and there was little point to this at all. These first four videos were all filmed by the same crew in the same basic style. Two cameras in a style that was identical to that used to film the only public appearance by the supposed Caliph of the “Islamic stat” Baghdadi at a Mosul mosque. All the executions were seemingly fake and all were conducted by the so called Jihad John character. A Switch to Real Horror? At this stage the formula was changed. 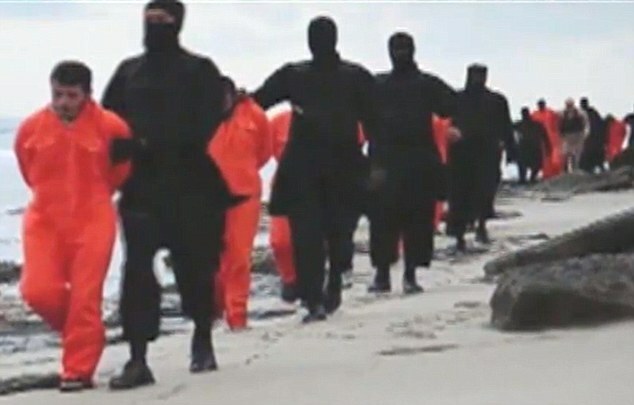 The footage of the execution of the next Western victim of the IS Pater Kassig was not released. Instead Kassigs supposedly decapitated head was depicted briefly at the end of a 16 minute video history of the group and those that preceded it since the Western invasion of Iraq in 2003 that seems to be titled “although the disbelievers dislike it.”. After recounting their version of the Iraq war, there is depicted an extremely strangely filmed and seemingly authentic mass execution of supposed captured Syrian soldiers. 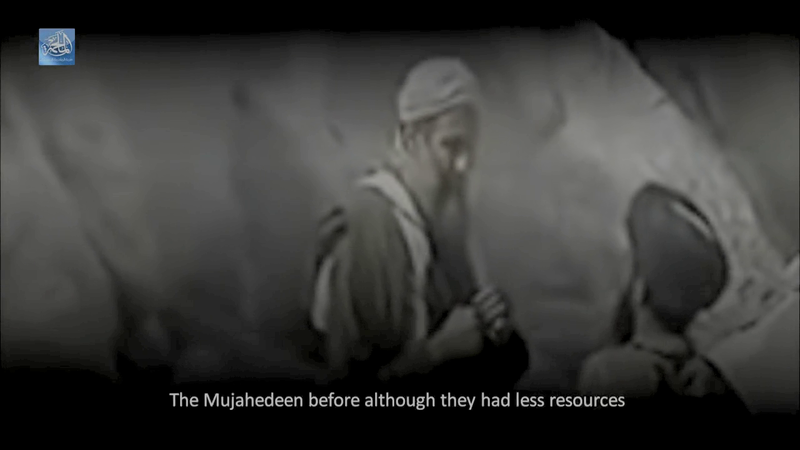 The previously lone and masked Jihad John character is depicted along with more than a dozen unmasked IS fighters, identically dressed in clean uniforms that are nothing like what the actual IS guerrillas look like, who appear to each decapitate one soldier each. This video was astonishing because it was shot and cut in a far more cinematic and highly edited style than the previous simple two camera one shot videos and yet it is extremely gruesome and bloody, the opposite of the previous style and the killings seem to be real. This video also appeared to be actually shot outdoors, there were real trees and scrub that indicated that they were either out of the studio or in a much larger and better equipped studio. The killings could be fake, but if so they were multimillion dollar productions, we are shown severed necks, every possible gruesome thing that can be shown is shown. The final shot of all the heads lined up on the chests in a row, looks fake, it could have been fake but tremendous effort has gone into making this a very realistic and bloody nightmare. The complete opposite of the first wave of easily discerned psyop beheadings. The only common denominator between the two.is the Jihad John character. This video also received almost no attention. I only watched one of these two supposed executions, that of Haruna Yakawa, interest was raised somewhat by the novelty of a Japanese victim and the dramatic IS demand for 200 million US dollars to spare the men. The video returned to the earlier style of the first four videos and was completely unbelievable, one of the worst. 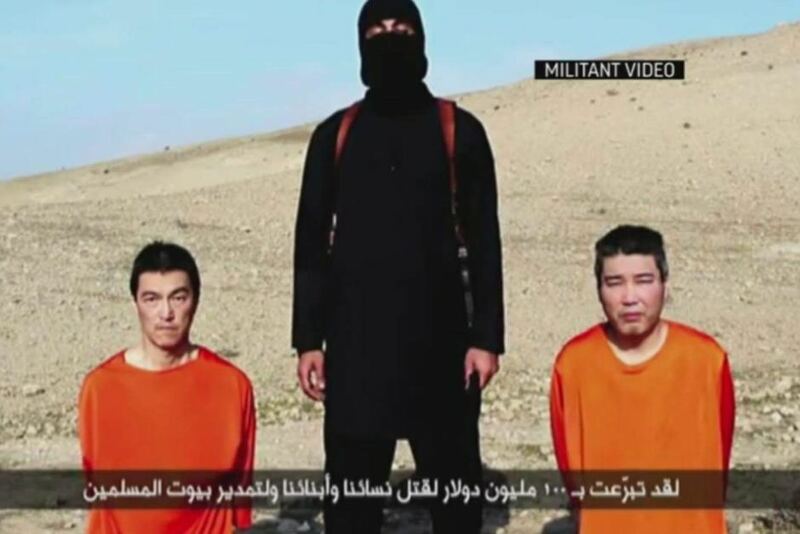 The captured Jordanian pilot Muath al-Kasasbeh is depicted being burned alive in a video. I have not seen the whole video. It does not appear to be authentic but may be. This was filmed using the same equipment and same crew as the November mass execution of Syrian soldiers video. 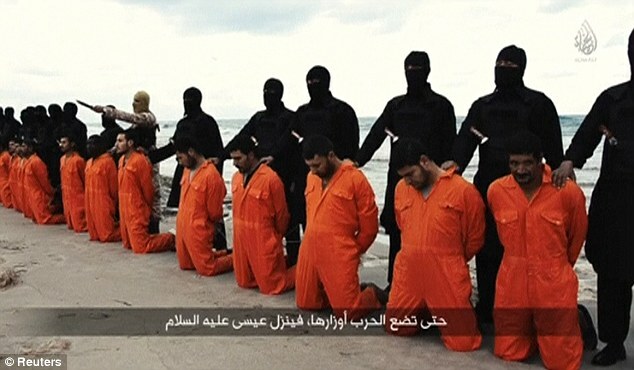 Mass execution of Coptic Christians in Libya. This video is very interesting because it appears to be fraudulent, the mainstream media even admitted the video was ridiculous due to the disproportionate size of the supposed IS fighters compared to their victims meaning that all the IS fighters would need to be 7 feet tall and their victims five feet tall. This video is shot in the same cinematic style as the other mass execution “real horror and gore” video. Strangely the gory compilation video that appears to show numerous bloody human decapitations, is posted and hosted by a Neoconservative source named PJ media whose writers include the self confessed fascist and warmonger Nichael Ledeen an individual with profound links to past false flag terror atrocities. This is a compilation video that features excerpts of many of the previous videos along with fairly stock war footage. That does not mean that the latest IS video is the empty threat and joke that it appears at face value however. The IS myth has been created and means that if someone else wants to conduct an attack on the US they will use the IS group as the anointed patsy, and there is a real threat of a large false flag in the US and elsewhere so this video of empty hype has real meaning and is connected to a real threat. The Strange 911 Call in Ohio. The full 911 call can be heard in this Dahboo video although the thick accent makes it rather hard to understand. This Cleveland news source reports the basic facts. “ Two men accused of calling in a bomb threat from a Greyhound Bus traveling in Lake County Friday pleaded not guilty at their initial court appearance. 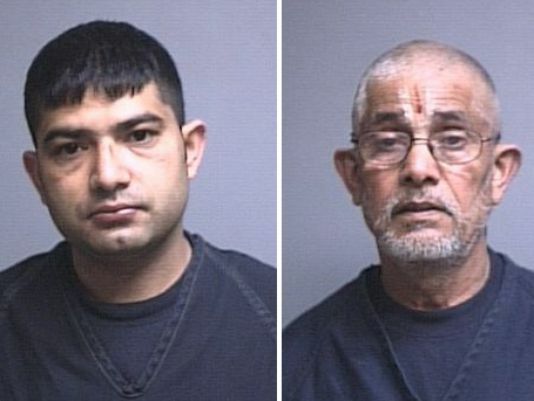 Guru Dhimal, 28, of Rochester, New York, and Bhagirath Koirala, 67, of Reynoldsburg, Ohio, appeared in Painesville Municipal Court Monday. Dhimal, charged with inducing panic, received a $20,000 cash or surety bond. Koirala received a personal bond and has been released, according to court records. The threat was called in about 5:30 p.m. Friday, as the bus was traveling from New York state to Cleveland. Dhimal and Koirala were both passengers on the bus, Ohio State Highway Patrol Lt. Brant Zemelka said. The men claimed they were affiliated with Al-Qaeda, and had a bomb that would destroy the White House, according to a 911 call obtained by WEWS. There was never any claim that the man had a bomb or that there were any explosives on the bus, the caller stated that “others’ had come from Asia and built a bomb so the lack of explosives on the Greyhound bus is meaningless. The charges the men face indicate that authorities believe the men were simply lying hoaxers, they may well be right. The whole thing makes no sense. It is possible the caller was paid to “send a message.” but that is just speculation. Pre Engineering is Taking Place. I am not pretending to know that something is going to happen, I do not. What I do know is that if something happens the men of the black flag will be blamed and it will be a lie. This group completely lacks the resources to be able to operate inside the US in a significant way. The IS group are actually rather hard pressed to detonate even a car bomb in Baghdad or Damascus, the idea that they are going to turn up and conduct a major attack in the US can be dismissed as more hype from the liars club behind the ridiculous War on Terror. 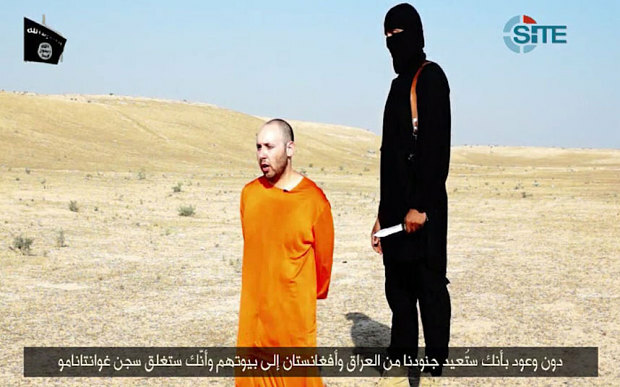 Over time it became harder to access the IS fake beheading videos. Liveleak stopped posting them, leaksource stopped posting them. In fact it seems that the only places that still host these videos are Neoconservative outles such as Pamela Geller.com, the only place I could find the fake Coptic Christian video in entirety, and PJ media, who posted “We Will Burn America” on their site despite the fact that it seems to show several gruesome beheadings, unlike the original four Jihad John videos that were bloodless. PJ Media includes Michael Ledeen. Interestingly, one of the writers at PJ media is an individual named Michael Ledeen, a Neoconservative, war monger and self professed fascist with a strong historical connection to terrorism in Italy during the Cold war. Along with the role in Iran Contra, fixing the US 1980 election with a disinformation campaign, manufacturing intelligence to help start the Iraq war, working for Italian intelligence agency SISMI, complete with funds paid into Bermuda Island bank account deposits, There was also the nasty episode at the Pentagon in the early 80s when Ledeen was accused of spying against the USA for Israel and had his security clearance severely downgraded. Pal Richard Perle found him another job at the National Security Council. Michael Ledeen self proclaimed fascist. Brazen liar, warmonger. and genocide advocate. At 73 it can only be hoped that Ledeen leaves this plane . Faster please! Michael Ledeen: a Public Face of the Criminal Deep State. 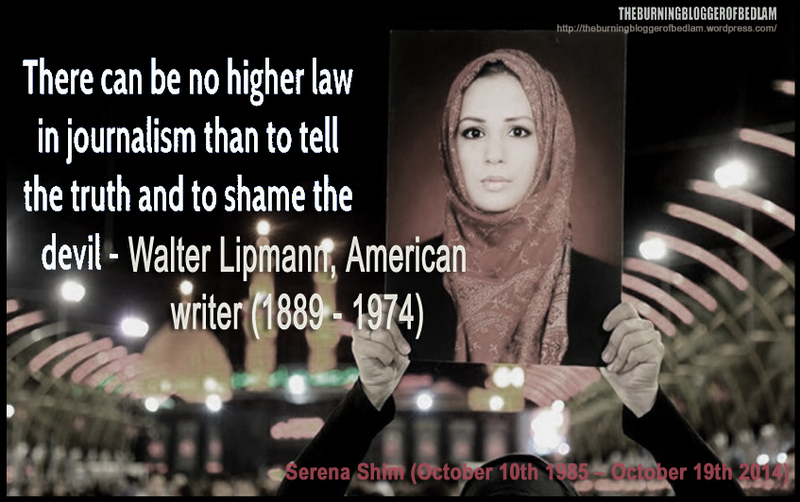 Ledeen is an extremely committed and tenacious pro- war activist and Zionist asset. Prior to the Illegal Invasion of Iraq, Several Million Violent Deaths Ago. “Question #2: Okay, well if we are all so certain about the dire need to invade Iraq, then when do we do so? Ledeen is such a conspicuously low quality individual that even Wikipedia reveals his profound and shameless dishonesty. As this short quote makes patently clear. Just to clarify, Ledeen described the Iraq war as both “ the desperately needed and long overdue war against Saddam Hussein” and stated that Iraq should be invaded “yesterday” in the prelude to the war and had the temerity to turn around afterwards and try and pretend that he was advocating the removal of Hussein through an engineeered “political revolution”! Prior to al Qaeda and the War on terror fraud, the war party were forced to rely upon communists and leftist extremists as the patsies in their false flag attacks. Between the late 1960s and the end of the Cold War, Europe was struck by numerous terror attacks. In the wake of the Cold War it emerged that many of the terror attacks conducted in Europe during the Cold war had been false flag provocations conducted by Western intelligence agencies and their cut-outs in order to blacken the name of communism in the eyes of the European public and also to promote the psychological dependence on the state of the citizenry. The formation of a Gladio secret army was a condition that the US made contingent on NATO membership, although non NATO members also hosted Gladio secret armies. The secret armies would operate beyond the reach and sometimes even the knowledge of the elected Government of the nation. It is claimed by the Swiss Historian and Academic Daniele Ganser that of the fifteen shadow armies that were created in Europe during the Cold war, that nine went “rogue” and started conducting terror attacks against the people they were supposedly set up to protect. The existence of Operation Gladio was admitted briefly at the end of the Cold War, the subject was then permanently consigned too the ever burgeoning “things we do not like talking about list” and is never ever mentioned in the controlled media. Ever. There were a number of Gladio terror attacks exposed in that brief window at the end of the Cold War, and the BBC’s Time watch program made a 3 part documentary called “Operation Gladio” about the Gladio terror and murder, with a special emphasis on the crimes in Belgium and Italy, where the networks had been thoroughly exposed and the connection to major crimes was undeniable. On August 2nd, 1980 the day after Michael Ledeen’s 39th birthday. 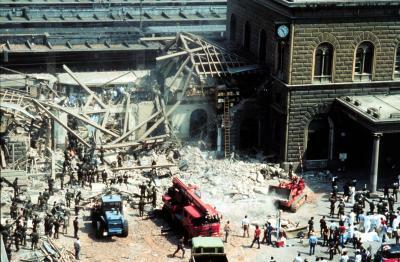 a massive blast tore through the Second class waiting room of the Bologna rail station. Eighty five people were killed and 200 wounded. The Bologna massacre was not really a classic false flag attack, as only a very half hearted attemt was made to frame leftists. This was more of a straight out “deep message” from the P2 dark elite, a punishment operation conducted by the fascist cut outs of P2 with the Italian intelligence agency SIMSI clearly involved due to their attempts to subvert the investigation. Michael ledeen was an employee of the SIMSI in this time as reported in the Wall Street Journal in 1985 when a journalist managed to track down a payment of $120,000 US dollars to Ledeen from SIMSI into a Ledeen Bermuda Islands bank account. . Propaganda Due is quite simply the absolutely classic ”Shadow Government” or “Dark elite” fascist clique. 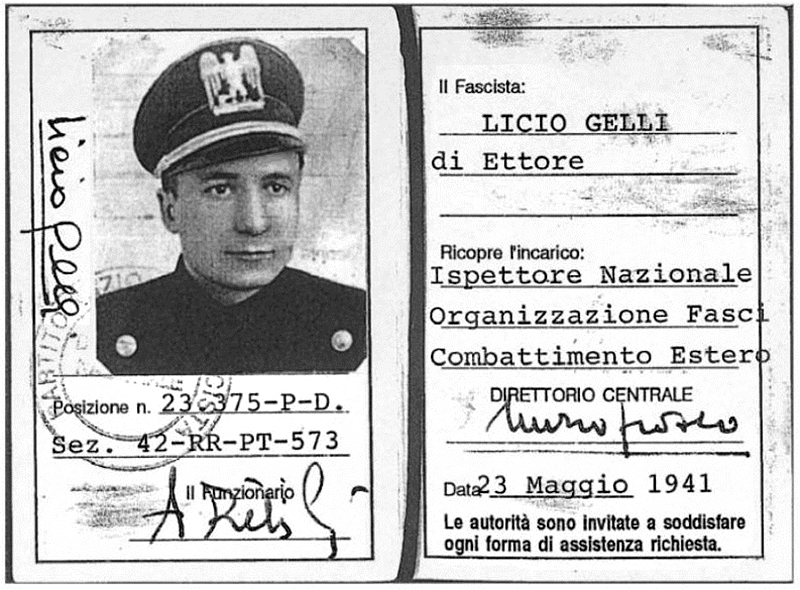 The grandmaster was a man named Licio Gelli,a fascist who had served in the Mussolini Security forces and graduated to become a very important criminal.This Metapedia piece is illuminating. “P2 was sometimes referred to as a “state within a state” or a “shadow government”. The lodge was peopled by prominent journalists, parliamentarians, industrialists, and military leaders — including the then-future Prime Minister Silvio Berlusconi; the Savoy pretender to the Italian throne Victor Emmanuel; and the heads of all three Italian intelligence services. 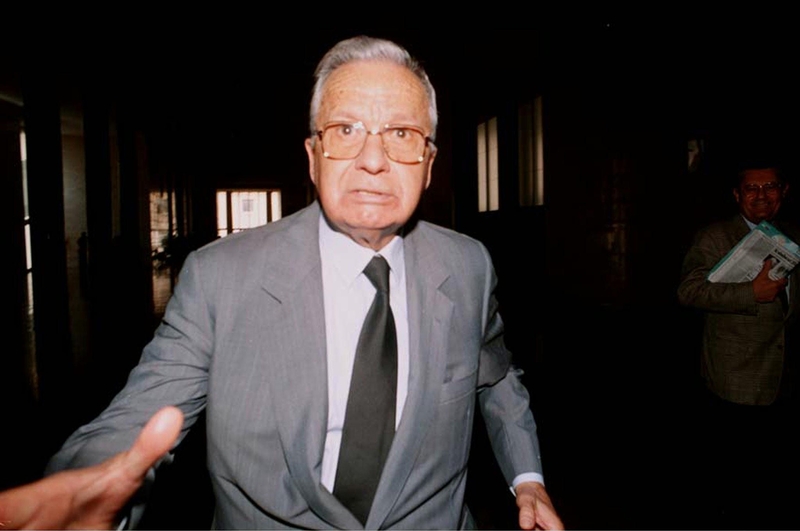 When searching Licio Gelli’s villa, the police found a document called the “Plan for Democratic Rebirth”, which called for a consolidation of the media, suppression of trade unions, and the rewriting of the Italian Constitution. So, this is the “Illuminati”. Criminal bankers, “black” Masons, fascists,Intelligence Chiefs, Mafia Dons, missing billions and terrorist mass murders, not to forget the “Occult” rituals and widespread police protection. It is quite the heady brew. Bologna made things hard for them in Italy, the organisation was formally banned by both the Italian state and expelled by mainstream Italian freemasonsry, but Berluscini still made it to Prime Minister and this points to the fact that these elements were not purged as clearly they needed to be. They had effective control of both the Italian military and intelligence services. Henry Kissinger is alleged to be an associate, and Michael Ledeen was a known close associate and confidant of Licio Gelli and also known to have attempted to buy the P2 membership list when it was seized in a police raid on Licio Gelli’s property. In 1981. Gelli Evades Italian Justice and Eventually is Sentenced for financial Crimes After Years of protection in Switzerland. Gelli is still alive and so is the Plot. Iran: Now What? | Faster, Please! Obama of Arabia | Faster, Please! Michael Ledeen, Gladio and 9 11. 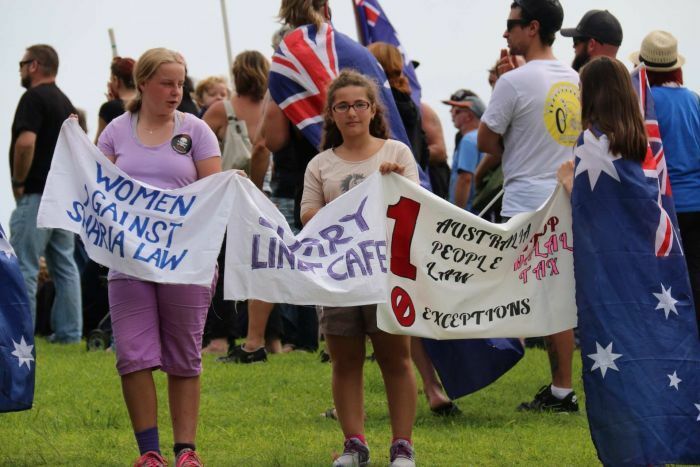 The Reclaim Australia ethos. An honest t-shirt might have added that we speak only banality, and believe that we should take immense pride in our ignorance and stupidity. Bonza! Australian ignorance in action on Easter. The Australian policy of constant high levels of immigration is designed quite simply to maintain an acceptably high level of unemployment and cause a constant labour surplus in order to serve the interests of the men from the Chambers of Commerce who fund the major political parties, and as a consequence own the government of Australia. WTC 6 aerial view. It was bombed along with the entire WTC complex. Australians in their awesome ignorance, were easy victims of the propaganda campaign that augmented the phoney War on Terror. This is not a United Airlines 767. This is a United Airlines 767. Spot the difference? These fools moan about freedom whilst accepting every single phony police state measure the New World Order suggests for their “safety”! Misdirection has rarely achieved such pitiful results as this. 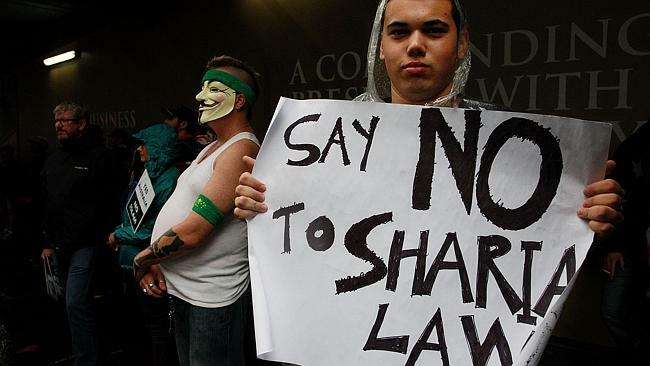 Brendan O Connell, sentenced to three years jail in Western Australia for posting an impolite video online and fools still think Muslims are the threat to our freedom? 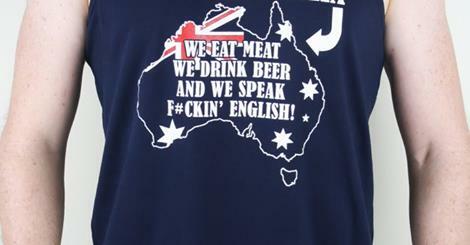 Australia- awesome levels of ignorance and proud of it ! Jericho, 911 and the Big One. This was the view from Jericho of the blast that destroyed Denver, Colorado in the 2006 series. Truth1now article on this subject. Jericho was an American TV series produced by CBS Paramount Network Television and Junction Entertainment that was wildly unsuccessful when it aired in 2006 -2008, lasting only 29 episodes and being cancelled 7 episodes into it’s Second season. Jericho is the story of life in a small Kansas town (population 5,000) called Jericho. There are many places called jericho in the US and elsewhere but this is a fictional town, close to the Colorado border. Close enough to see the mushroom cloud over the city of Denver when the city is attacked with a Nuclear weapon. The series begins after the US Government has been destroyed after Washington DC and 22 other major US cities were attacked with nuclear weapons. The attacks were false flags coordinated by the head of the US Department of Homeland Security. The operatives who planted and detonated the devices were “sincere” terrorists, ” “domestic militia, anarchists, and religious fanatics” but the plot is being run by fascists within the US Government intent on destroying the US. Atlanta, Boston, Los Angeles, San Diego, Seattle, Phoenix, Washington DC, Chicago, Baltimore, Philadelphia, Denver, Detroit, Hartford-Connecticut, Houston, Lawrence-Kansas, Indianapolis, Miami, Minneapolis, Pittsburgh, Norfolk-Virginia, St.George or Cedar City-Utah, Dallas and San Francisco. The New York attack was averted at the last minute when the three terrorists were arrested planting the device that was in their white van. The attack on Columbus, Ohio did not happen because the terrorist tasked with the operation was actually a deep cover CIA agent and he kept the bomb he was given and it will show the true authors of the attacks. The weapons were refashioned using material stolen from the US government after it bought material from former Soviet satellites states at the end of the cold war. The “rogue network” stole the material after infiltrating this program. 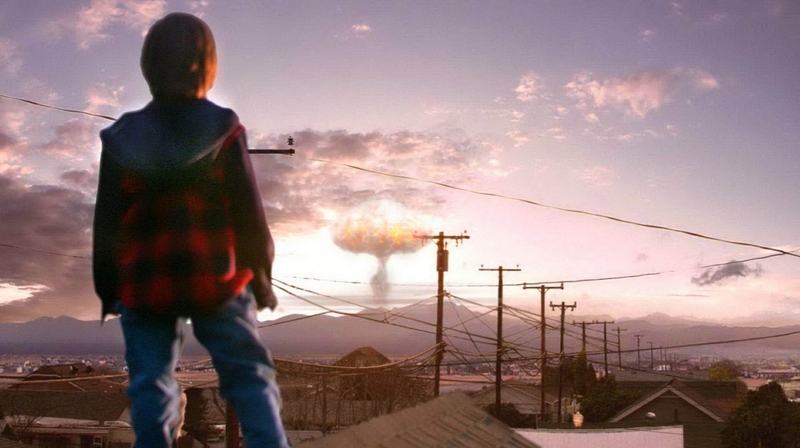 After the initial Nuclear attacks there is also a high altitude EMP (electromagnetic pulse ) blast that does not kill anyone but destroys all electronic circuits that are not specially shielded. Post Apocalyptic Life in Jericho. The town is largely unaffected by the attacks, after one storm there is no fallout or any other damage. In the first season the citizens struggle to survive without any broader infrastructure, in the Second season, the town comes under the Occupation of the US military and the Military Contractor group who run the new fascist corporate western Allied States of America. Most of Jericho is concerned with the day to day struggles of the citizens of Jericho in the wake of the destruction of the United States. It is a very strange, heartwarming, intelligent rural drama with the apocalypse as a backdrop. The respect the show has for it’s characters is very rare for Hollywood depictions of smalltown America which are usually either Beverly Hillbilly comic grotesques or unrealistically nice phonies like the Waltons. But the false flag story underpins the entire narrative. Echoes of 911 and a Possible Foreshadowing? Given the recent history of the US, it is rather unsettling what this series has envisaged given that it was aired only five years after the apparent nuclear destruction of the World Trade Center complex in New York. The Jericho attacks use 20 kiloton devices, that is 20,000 tonnes of TNT equivalent. These are city busters. What is left of the US government apparently destroys both Iran and North Korea after they were framed by corrupt investigators on behalf of the new fascist US government. The US splits into six and then three separate states. The largest, ruling from the Mississippi river to the Pacific Ocean in the Western US is called the Allied States of America. It is a fascist corporate military government intent on rewriting the US constitution. “the government’s military and mercenary agents transform life in Jericho into a repressive police state, under the leadership of a private security contracting firm, Ravenwood, (thinly disguised Blackwater/Xe) in turn owned by the company Jennings & Rall, which has major ties to, and sponsors, the leaders of the ASA government.” It was also interesting that their history book s state that the US should have attacked Russia with nuclear weapons during the 1962 Cuban Missile Crisis and should also never have left Vietnam. As the series develops it becomes clear that the fascist leadership of the ASA were responsible for the nuclear destruction of the USA. The other states are a Texas based state and an Eastern state based in Columbus, Ohio that is engaged in a power struggle with the fascist corporate terrorist ASA Western US state. A Map of the cities attacked in the Jericho scenario. There are many echoes in Jericho of 911 itself.The attacks take place on September 19th, 2006. 919, as opposed to 911. Two states are nominated as patsies and destroyed also, in the 911 case Afghanistan and also Iraq. In Jericho the patsy states are North Korea and Iran. The funny thing is that there have been persistent claims that a number of Nuclear devices have been secreted in US cities and they come from a source that has provided the best information about 911 that has been provided by anyone , not that the stories can necessarily be conflated. Jericho and 911 and the Rumours of the Jericho scenario. 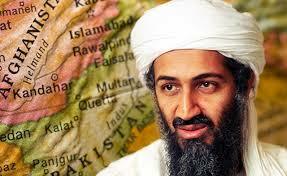 Dead man bin Laden died again a month after the Jericho scenario threats were attributed to him. It seems interesting that only one month and a few days later, Osama Bin Laden the long dead faux author of the threats, was killed again for public consumption on May 1st, 2011. As with all single source stories there must be a high degree of caution. I am incapable of confirming the veracity of this story, If true, it might help to explain many, many things that have happened and may even signal what is planned. I find this story hard to believe or disbelieve. The reader will as always decide for themselves. This leans totally on Veteran’s Today, I feel a little guilty about that but I did notice that Google completely hides these articles so the gratuitous use of others material is somewhat alleviated by that perhaps. The Jericho scenario as Described by Gordon Duff and Dr. Preston James of Veterans Today. I really hope that this story is incorrect and if not that the people who hold these devices understand that there is no possibility that a successful America destroying false flag would be believed. That bird has flown. Jericho will always be a high quality piece of morbid futuristic fiction and the big one, like the West Coast earthquake deemed inevitable for decades, never comes. The fictional series Jericho had a happy ending of sorts, the finale features the heroes flying the “Smoking gun evidence” the surviving unexploded Nuclear weapon into independent Texas. They are intercepted by ASA Jets before the final twist.